Alzheimer's disease which is also called AD is the most common kind of dementia among older folks. Alzheimer's (a.k.a. 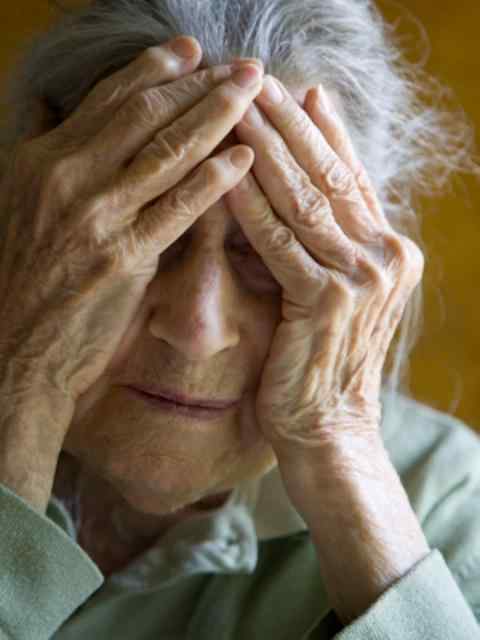 Dementia) is a brain disorder that seriously affects a person's ability to do daily activities and functions. Alzheimer's disease begins slowly and first involves the parts of the brain that control thought, memory and language. People with Alzheimer's disease may have trouble remembering things or names of people they know. Over time, Alzheimer's symptoms worsen. 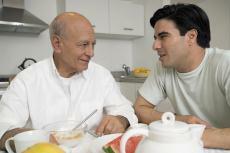 People may not recognize their own family members or have trouble speaking, writing or reading. They may forget how to brush their teeth or hair. As Alzheimer's disease progresses, they may become anxious or aggressive, or wander away from home. Eventually, people with Alzheimer's disease will need total care. This causes great stress for family members who must care for them. Alzheimer's disease usually begins after age-60. The risk goes up as you get older. Your risk is also higher if a family member living or deceased has had the disease. No treatment can stop the start of or progression of early stage dementia. However, there are some prescription and even over-the-counter drugs which may help keep symptoms from getting worse, at least for a limited time, including being on a long-term low dose aspirin regimen. There are some good new ways to treat mild or moderate Alzheimer's disease. Mild to Moderate Alzheimer's disease condition can be helped with ongoing therapy and medication including early stage Alzheimer's disease treatment, which can be helped more so than moderate to severe Alzheimer's disease. Several prescription drugs are currently approved by U.S. Food and Drug Administration to treat people who have been diagnosed with Alzheimer’s disease. Treating the symptoms of Alzheimer’s disease can provide patients with dignity, comfort and independence for a longer period of time and can encourage and assist their caregivers as well. You must understand that none of these medications stops the disease itself. Medications called cholinesterase inhibitors are prescribed for mild to moderate Alzheimer's Disease. These drugs may help delay or prevent symptoms from becoming worse for a limited time and may help control some behavioral symptoms. The medications include: Razadyne® (galantamine, formerly known as Reminyl® and now available as a generic drug), Exelon® (rivastigmine), and Aricept® (donepezil). Another drug, Cognex® (tacrine), was the first approved cholinesterase inhibitor but is rarely prescribed today due to safety concerns. Scientists do not yet fully understand how cholinesterase inhibitors work to treat Alzheimer's Disease, but research indicates that they prevent the breakdown of acetylcholine, a brain chemical believed to be important for memory and thinking. As Alzheimer's Disease progresses, the brain produces less and less acetylcholine; therefore, cholinesterase inhibitors may eventually lose their effect. No published study directly compares these drugs. Because they work in a similar way, switching from one of these drugs to another probably will not produce significantly different results. However, an Alzheimer's Disease patient may respond better to one drug than another. A medication known as Namenda® (memantine), an N-methyl D-aspartate (NMDA) antagonist, is prescribed to treat moderate to severe Alzheimer's disease. This drug’s main effect is to delay progression of some of the symptoms of moderate to severe Alzheimer's Disease. It may allow patients to maintain certain daily functions a little longer than they would without the medication. For example, Namenda® may help a patient in the later stages of Alzheimer's disease maintain his or her ability to use the bathroom independently for several more months, a benefit for both patients and caregivers. Namenda® is believed to work by regulating glutamate, an important brain chemical. When produced in excessive amounts, glutamate may lead to brain cell death. Because NMDA antagonists work very differently from cholinesterase inhibitors, the two types of drugs can be prescribed in combination. The FDA has also approved Aricept® for the treatment of moderate to severe Alzheimer's Disease. Doctors usually start patients at low drug doses and gradually increase the dosage based on how well a patient tolerates the drug. There is some evidence that certain patients may benefit from higher doses of the cholinesterase inhibitors. However, the higher the dose, the more likely are side effects. The recommended effective dosages of drugs prescribed to treat the symptoms of Moderate Alzheimer's disease and the drugs’ possible side effects are summarized in the table (see below). Patients should be monitored when a drug is started. Report any unusual symptoms to the doctor immediately. It is important to follow the doctor’s instructions when taking any medication, including vitamins and herbal supplements. Also, let the doctor know before adding or changing any medications. The various stages of Alzheimer's disease for older adults and their families stands in the way of the “Golden Years.” Alzheimer's Disease also presents a major problem for the health care system and society as a whole. Alzheimer's disease is the most common cause of dementia among older people. Recent estimates in the United States currently show that people with Alzheimer's Disease range from 2.4 million to 4.5 million. But scientists agree that unless the disease can be effectively treated or prevented, the numbers will increase significantly if current population trends continue. Our aging society makes Alzheimer's disease an especially critical issue. A U.S. Census Bureau report on aging in the United States notes that the population age 65 and older is expected to double in size to about 72 million people within the next 25-years. Moreover, the 85 and older age group is the fastest growing segment of the AD population. This is all the more important for a neurodegenerative disease like Alzheimer's Disease because the number of people with the disease doubles for every 5-year age interval beyond age 65. Alzheimer's disease not only affects the people with the disease, of course. The number of Alzheimer's Disease caregivers—and their needs—can be expected to rise rapidly as the population ages and as the number of people with alzheimers disease increases. During their years of Alzheimer's Disease care giving, spouses, relatives, and friends experience great emotional, physical, and financial challenges. As the disease runs its course and the abilities of people with Alzheimer's disease steadily decline, family members face difficult, and often costly, decisions about long-term care. The growing number of people with Alzheimer's disease and the costs associated with the disease also put a heavy economic burden on society. The national direct and indirect costs of caring for people with Alzheimer's Disease are estimated to be more than $100 billion a year. A study provided an equally sobering picture of the impact of Alzheimer's Disease. It is estimated that if current Alzheimer's Disease trends continue, total Federal Medicare spending to treat beneficiaries with the disease will increase to more than $180 billion by the year 2015. For these above reasons, Alzheimer's disease is an urgent research priority. We need to find ways to manage and treat Alzheimer's Disease because of its broad-reaching and devastating impact. We now know that the disease process begins many years, perhaps even decades, before symptoms emerge. Discovering ways to identify Alzheimer's Disease in the earliest stages and halt, or slow its progress will benefit individuals, families, and the entire nation.